The Reeds Colts have a large family of 40 registered players of U17-U18 age. They are supported by 10 coaches & administrators. However, we are always looking for new players of all abilities to join the squad and share in the fun, camaraderie, and spirit of rugby which is in our club’s DNA. We run a full programme of league and friendly fixtures from September to April. We also train on Thursday nights, 7.30pm to 9pm at the Reeds Weybridge Club, Whitely Village. On Sundays we mainly play matches, interspersed with some additional training sessions. Home matches and Sunday training typically start at 12pm. We believe that the Reeds Colts are able to offer players, at all standards, a great opportunity to learn and develop their rugby; to play competitive rugby at a level that is suitable for their ability; and to continue to be challenged as their experience and ability develops. The Reeds Colts play in the National U18 knockout competition, the Surrey Waterfall Cup, as well as seven’s tournaments and friendly inter-club fixtures. The Colts are supported by 8 qualified coaches, as well as a professional coach, John Downey. All coaches are involved in a continuous programme of training and development, supported by the Reeds club and the RFU. We focus on developing player’s core skills, to enable them to play effectively at several positions. This helps to develop positional skills and to ensure that we retain a strong squad ethos. We always aim to organise a number of social events each year for players and the parents, outside of rugby training and matches. 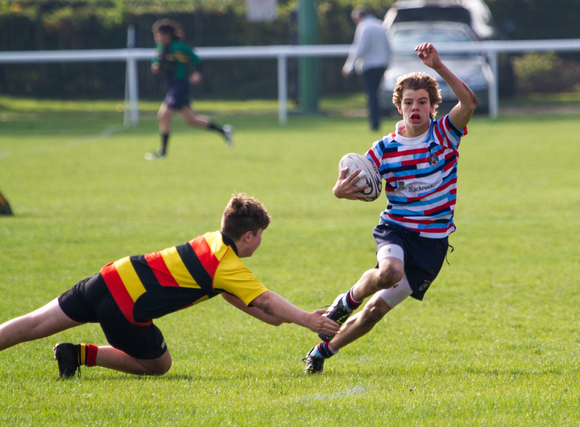 We also arrange away tours where players and parents get a taste of the true spirit of rugby. Please give Reeds a try. We are very keen for new players to join Reeds. All players of any ability will be made to feel very welcome.